Nowadays, video editing has become highly required thing due to the popularity and convenience of online video sharing. As you can notice, almost all the popular social networking sites are filled with various interesting videos and useful clips. And according to me, all credit goes to the video editing software which offer unlimited exciting options to edit the videos perfectly. In order to get the best output of videos, you need to edit them. Using video editing software’s, you can polish the videos and add a nice touch to them. Even if you know only the basics of using video editing tools, you can easily compress video files without losing quality and make your video look professional and impressive. Although, there are verities of best video editing software’s which you can use for editing the videos on your PC but if you are looking for a best free professional video editing software then have a look at the list of top 10 best free video editing software for Windows PC. Selecting the right video editing software is really very important for anyone. Whether you are a newbie or expert in video editing, if you are not using the most appropriate video editing software then you will not be able to edit videos like a professional video editor. In this video editing guide, we have gathered some of the best professional video editing software that offers plenty of helpful video editing features and options like full-screen playback, storyboard display, timeline display, titles, audio transitions. video transitions, visual effects, direct camcorder capture, drag and drop features, HD support, speed change, and many more video and audio effects. Windows Movie Maker is a well renowned free video editing software which is developed by the Microsoft. This is one of the best video editing software’s which you can use to edit your videos within minutes. Windows Movie Maker comes with Windows Essentials and if you are using Windows operating system on your PC then you don’t need to download and install this software. Windows Movie Maker software is very easy to use and doesn’t need any settings. You have to just drag and drop the video clips for editing to the software and start editing according to your requirements. With the help of this free video editing software, you can easily import and edit slide shows and videos, edit all your movies and select a theme, add and edit audio, and share your movie online with friends and family etc. Making second to our list of free video editing software is WeVideo. WeVideo is a cloud-based photo editing service which helps in the easy editing of the photos and videos. All the users get 5 GB of space where they can upload their data. WeVideo is not only a powerful and easy-to-use video editing tool, but it’s also a cloud-based collaborative video creation platform and best desktop editor on the web. So, if you want to easily create outstanding videos then WeVideo video editing software for Windows PC is really a good choice. Free Video Editor is much of a video trimming tool. Add the movie which you want to trim, set the starting and ending points and you are ready to trim the video clip. 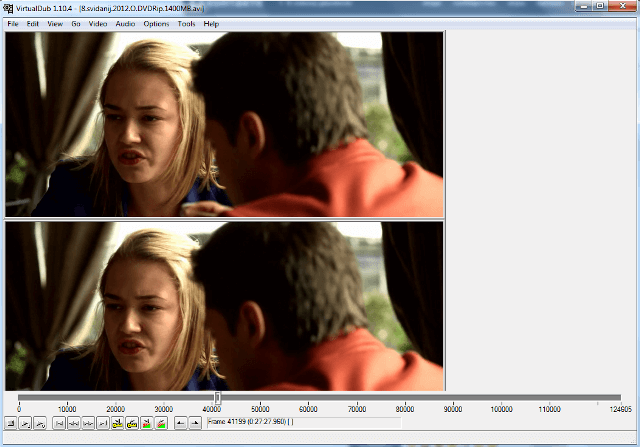 The best part of this video editing software free download is there won’t be any loss in quality. You will get the same quality of the converted clip just like the source clip. Addition to all these things, the most valuable thing with Free Video Editor is that it doesn’t contain any spyware or adware. Free Video Editor is completely free and absolutely safe to install and run on your Windows PC. Lightworks is an award-winning video editing software which has been used to edit some of the most popular and award-winning movies of Hollywood: The Wolf of Wall Street, LA Confidential, Pulp Fiction, Heat, Road to Perdition, Hugo, The King’s Speech and many more! Simply, we can say that Lightworks is the professional editor for everyone. There are two licenses available for Lightworks: a free seven-day renewable license and a Pro license which can be purchased as a Month, Year or Outright. The software comes with the various amazing set of features which you won’t find in any other software. Avidemux is also a well-known best free video editing software. The software is small in size but has many awesome features. You can use Avidemux video editing program to join the videos, cut them and add filters to the videos. Other editing features which you will get in Avidemux are resize, rotate, flip, sharpen etc. It supports several file formats types, including AVI, DVD compatible MPEG files, MP4, and ASF etc. Avidemux is available for Linux, BSD, Mac OS X and Microsoft Windows operating system under the GNU GPL license. VirtualDub is one of the oldest video editing software’s for PC. The software only works with the AVI files, so if you are having video files with any other format you might want to try any other video editing software. The user interface of Virtual Dub is clean and the software is quite easy to use. You can use different filters to sharpen the images and polish them as per your requirements. It might take some time to explore and learn all the functions of VirtualDub for a newbie. The seventh video editor which makes to our list of free professional video editing software is VSDC Free Video Editor. VSDC Free Video Editor is a non-linear video editor and is preferred for all the professional video editors. VSDC Free Video Editor supports all popular codecs and video formats, such as AVI, MP4, MKV, MPG, WMV, 3GP, FLV and others; audio files: MP3, WAV, WMA, FLAC, PCM, OGG, AAC, M4A, AMR and others; as well as image files: BMP, JPG, PNG, PSD, ICO, TIFF, etc. It might take some time for one to understand the software and learn how editing works, but once you know all the features and functions you will be able to use VSDC best free software for video editing. 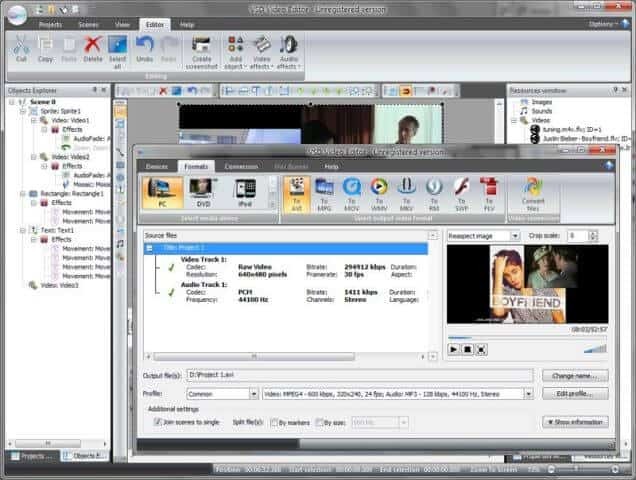 You can also use MPEG Streamclip video editing program to edit different types of files. The formats which are supported by this video editing software are DVD formats, video stream URL’s and much more. MPEG Streamclip offers you the options to play and edit QuickTime, DV, AVI, MPEG-4, MPEG-1; MPEG-2 or VOB files or transport streams with MPEG, PCM, or AC3 audio. You can easily export all these formats to QuickTime, DV, AVI/DivX and MPEG-4 with high-quality encoding and even the uncompressed or HD video too. The reason why MPEG Streamclip is the best free software for video editing is because of its ability to trim the videos, edit the footage, ability to export soundtrack and lots more. If you are looking for the best video editing software you should try Kate’s Video Toolkit. The software comes with all the basic features which are required to edit the videos. However, you will find many other features too. Using this toolkit, you can easily trim or join the videos as per your requirement. Kate’s Video Toolkit allows you to convert videos from one format to other, extract part of the video and save it in the same or different format, join multiple videos of same or different format and save it as single video, mix multiple Audio and Video into one file, apply many different transitions on an existing video, And play all the movies formats supported by windows media player, quick time player, DVD players etc. The last video editing tool which makes to our list is Freemake Video Converter. This video converter tool will help you in the conversion of videos into your desired format. You can select from different formats in which you want to get the output video using Freemake Video Converter. Freemake Video Converter supports almost 300+ input formats and allows you to download & convert streaming videos from YouTube, Vimeo, Facebook, Dailymotion and 50+ popular sites. Converting videos containing subtitles to any format or device and Turn photos or images into slideshows with background music for free are some of its well-known specialty. So, these are the top 10 best free video editing software for Windows PC. If you are looking for a best free professional video editing software then I would recommend you to use “Windows Movie Maker” or “Free Video Editor” on your Windows PC. Let us know through the comments – Which free video editing software you are using right now to edit videos on your Windows computer? According to you, which is the best free software for video editing?